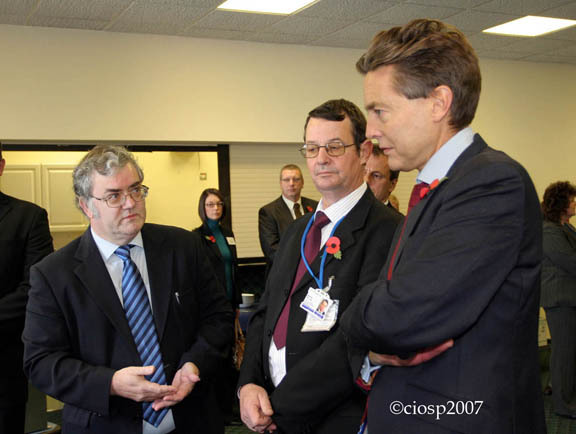 The Minister of State for Health Services and Minister for the South West, Ben Bradshaw MP, visited West Cornwall on Friday 9 November to see patient-led improvements to local NHS facilities. The Minister began his visit at St Michael’s Hospital in Hayle, where he tasted high-quality local food being provided for patients under the NHS Cornwall Food Programme and met local suppliers who are responsible for locally-sourced meat, fish and dairy products. A key part of this programme is the development of the Cornwall Food Production Unit which will supply local produce. The Cornwall Food Production Unit will be operational in Spring 2008 and is being led by the Royal Cornwall Hospitals Trust, as a partnership project for the NHS across Cornwall and is being developed as part of the NHS LIFT (Local Improvement Finance Trust) initiative in Cornwall by the county’s LIFTco, Community 1st Cornwall Limited. This is the first LIFT project to be signed between Community 1st Cornwall and the Acute Trust and demonstrates the breadth of regeneration activities LIFT can participate in and successfully deliver to improve the county’s health and social care and support services infrastructure. The Cornwall Food Production Unit is part financed by the European Agricultural Guidance and Guarantee Fund of the European Union and the Department for Environment, Food and Rural Affairs.